I will be the clearest channel I can be for you and intend and facilitate that only that which is Source Light and Love and in your Highest and Greatest good will happen for you. Your part is allow the energies that I channel to manifest whatever changes you need to make, I can and will guide you during the sesion if you need my help, for your Highest and Greatest good in Source Light and Love. 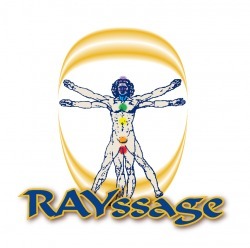 Rayssage® is an interactive energetic mediation that utilizes a gentle yet powerful bandwidth of Universal Life Energy also known as DIVINE LOVE, which enables a person to Clear, Relax, Reconnect, and Rejuvenate on every level. RAYSSAGE™ is the term that I coined for this modality. The name RAYSSAGE™ comes from the the union of "RAY"(the way in which life/light/Divine energy is usually referred) + massage. So a RAYSSAGE is an ENERGY massage with DIVINE energy which Relaxes, Reconnects, and Rejuvenates a persons mind, body and spirit. The use of Reiki is not dependent on one's intellectual capacity or spiritual development and therefore is available to everyone. It has been successfully taught to thousands of people of all ages and backgrounds. An open mind, and a truly dedicated 2 hours of your life. This work usually requires some assimilation time on your part so don't try and cram it into the middle of your busy day without any scheduled down time! I work out of several locations so don't assume you know where we will be meeting, even if you have seen me before. Respect the privacy of our other clients as you would like your privacy respected. Your undivided presence, please turn off all voice communication devices before entering the facilities and all disruptive devices before beginning your session. You MUST have an approved Referral prior to scheduling your session. We invite you to contact us at mailto:Info@Rayssage.com with any questions or concerns you may have. On June 3,2008 The United States Patent Office registered RAYSSAGE as an official Trademark.